Earlier in the day, Moscow confirmed that the US-led coalition has resumed airstrikes east of the Euphrates River in Syria, using white phosphorous munitions banned by the international law. 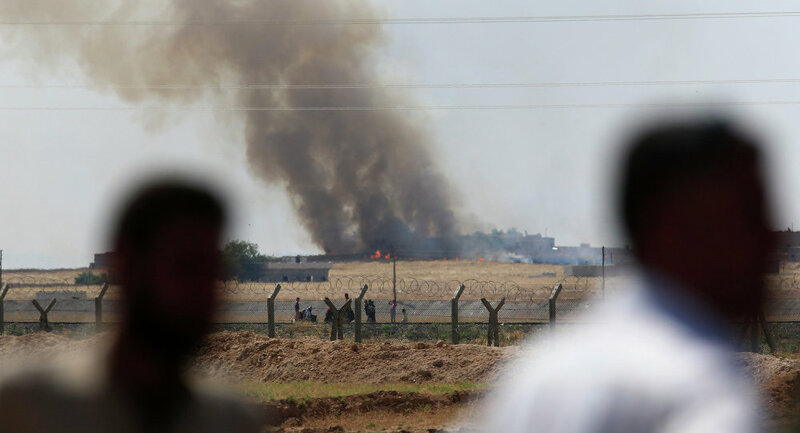 US-Led Coalition airstrikes targeting the village of Bu-Badran in the Syrian Deir ez-Zor province resulted in the death of 17 civilians on Thursday, SANA reported citing local sources. "17 civilians died as a result of airstrikes conducted by the international coalition targeting Bu-Badran in the east of Deir ez-Zor province," the agency reported. Previously, SANA reported about the Coalition conducted numerous airstrikes targeting towns in Deir ez-Zor province, including the use of banned white phosphorus. These strikes led to multiple casualties, the media stated. Addressing the reports, the coalition spokesman stated they would investigate the civilian casualties, but refuted the alleged use of white phosphorus. The Coalition has repeatedly denied the use of this type of munitions, which are banned under the 1977 First Additional Protocol to the 1949 Geneva Conventions. The Syrian government, in its turn, has condemned the Coalition's efforts, stressing that they have not been authorized by the Syrian government or the UN Security Council. Damascus has also repeatedly accused Washington of waging a phony war on the jihadists, pointing to numerous reports of the US providing assistance to suspected terrorist targets or interfering with Syrian military efforts to destroy Daesh* and other terrorist militants operating on Syrian soil. *Daesh is a terrorist group outlawed in Russia and many other countries.